Its now been a month at HEL(L), and am slowly starting to get hold of the changes that have happened after coming here. The distinction between days and nights has vanished, sleep times (if I get to sleep that is) have changed, eating habits have changed, and the ability to sustain any kind of pressure too. Assignments, committee selection interviews, group tasks, reports and quizzes have become the order of the day (and night). Life seems to have suddenly become very hectic. 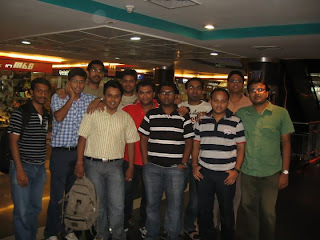 Exactly 30 days ago, 8th June 2010, as the 12:10 IndiGo flight from Kolkata (actually it starts from Bangalore, then goes to Kolkata, then Patna, Lucknow and Mumbai... Gosh... The pilot and air-hostesses must have been drained) touched down at the calm and quiet Chaudhary Charan Singh Airport at Lucknow, I felt excited. I was at the 'City of Nawabs' - Lucknow, the city which was to be 'my city' for the next 2 years, the city where I was about to start a fresh new life. Compared to the buzzing activity at Kolkata's Netaji Subhash Chandra Bose International Airport, this airport seemed very calm and quiet. The officials and staff seemed to wake up to the fact that an aircraft landed. The only passengers at the premises were from our flight. Interesting! Thereafter, me and Rahul (who was accompanying me in the flight) booked a cab which was to take us directly to our home - Indian Institute of Management, Lucknow. 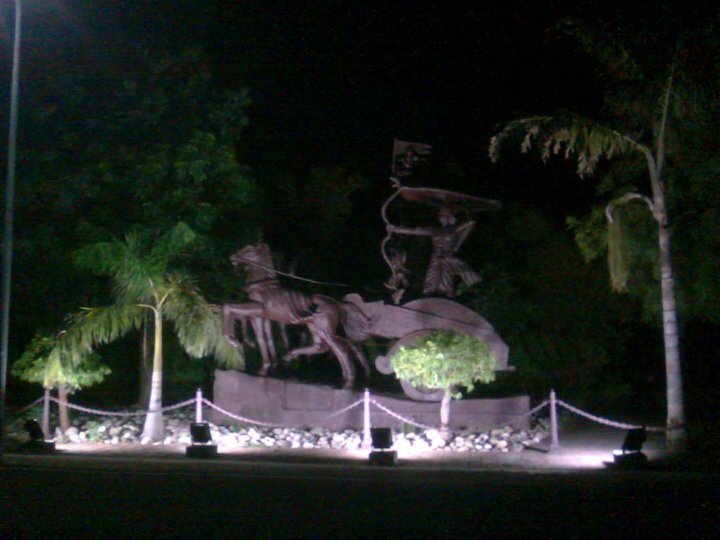 A long 45 min ride which clocked a distance of over 30 kms brought us to the entrance of the campus. A serious security personnel greeted us and asked us some details before ushering us in. The logo of the institution was shining bright at the centre of the road and the words 'Indian Institute of Management Lucknow' looked beautiful embossed on stone at the side of the gate. 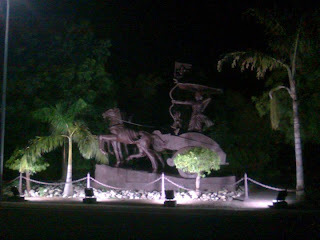 A statue of Arjun greeted us as we entered the campus along with another statue which had a lot of politicians - Mahatma Gandhi leading the pack there. The driver took us to the Student Affair's Centre where we (Rahul and I) both got allotted to H-15. From what I had heard, it was the latest one and the farthest. "Gosh! I would have to run to class everyday" was my first reation. Hmm. Lets see! A short drive and then a 5 min walk and we were at H-15. I got my ground floor room - 1509 where as Rahul got a top floor one - 1578, which in the sveltering heat of Lucknow (the temperature was 44 degrees as we stood at H-15), would be a torture in itself. As I got into my room, I couldn't help but notice how clean and fresh they looked. And the view from the verandah was the beautiful Umang! Wow! I would definitely make use of it. The campus seemed quiet (after all only we 120 had come for the 'Preparatory Course' (Remedial course) and the seniors were yet to come) but very hot. Working in Bangalore for the past 3 years had my body conditioned to a much cooler climate and compared to that, the campus felt burning hot. The first two weeks in the campus were a cakewalk. Classes for the first half only (And yes, it was mathematics. So it was cazz! ), dozzing off in the afternoon, squash at Umang in the evening and then watching movies / playing games / hanging out in the night. I took up an interesting task in this period. A group of 7 came together to teach a fellow batchmate of ours who was visually impaired. I took up the session on Integration one day with a session of 2 hours. What an experience! I learnt a whole new meaning to teaching. No wonder our teachers have a tough time with us. 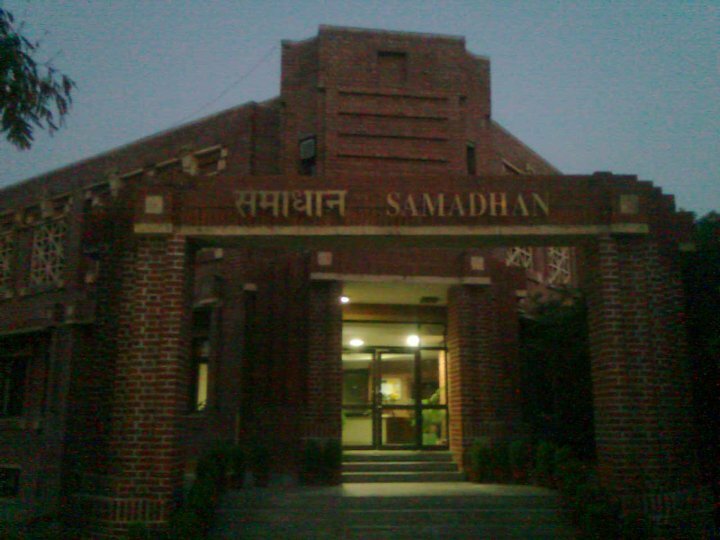 We also checked out the campus during this period wondering why the institute buildings had such cryptic names like 'Bodhigraha', 'Gyanoday', 'Samadhan' and 'Chintan'. Anyways, we had our first group hangout to the city in the first weekend when our group of 12 watched Raajneeti together and also tried out the world famous Tundey Kebabs. Saharabanj, Hazratganj, Aminabad (which I checked out with my parents), Charbagh all places seemed good. What astonished me was that even though Lucknow was the capital of Uttar Pradesh, the city seemed clean, the people friendly and the air pollution-free. But if I had thought traffic in Bangalore was a pain, the one here is a torture. No one, absolutely no one follows rules. People just barge in from sides. And the bus drivers don't even care for passengers. I actually saw a bus driver throw a prospective passenger out of the bus using the door even though the guy was half in. Now back to the campus, things were going steady and the preparatory course was nearing its end. The rest of the batch started coming in and thus came the time for our induction. Now I had heard stories of people not being able to sleep during that time, so was excited. But boy, was I in for a ride! The 4 days had inductions by alumni and faculty members from morning to evening. Apparently the head of the Global Alumni Association had come and yeah, his sessions were really good. Then night 10pm used to be the time for induction by seniors where we were made to do all kinds of stuff. From SOPs to 3 hour notice presentations; from 5000 word reports to role plays, from official teaching sessions by the seniors to formal tests. And if this wasn't enough, we came back to attend hostel inductions which typically lasted from 3am to 5am where we were made to do all kinds random ( censored) stuff. I used to sleep at 6am when the sun was bright up in the sky only to get up at 8am and attend sessions at 9am. Finally on the last day of the induction, to take the torture further, we had a solidarity march at 6am. But all this culminated in a grand 'Insti Party' on the night of Saturday, the 26th which was awesome. The performance by Three.Four (The official band of IIM Lucknow) was amazing and the DJ kept belting terrific numbers. The booze kept on as well as the dancing. Fabulous start to our two years here. The classes started next. Some subjects seemed interesting, some which routine, in others I somehow managed to keep my eyes open in class. 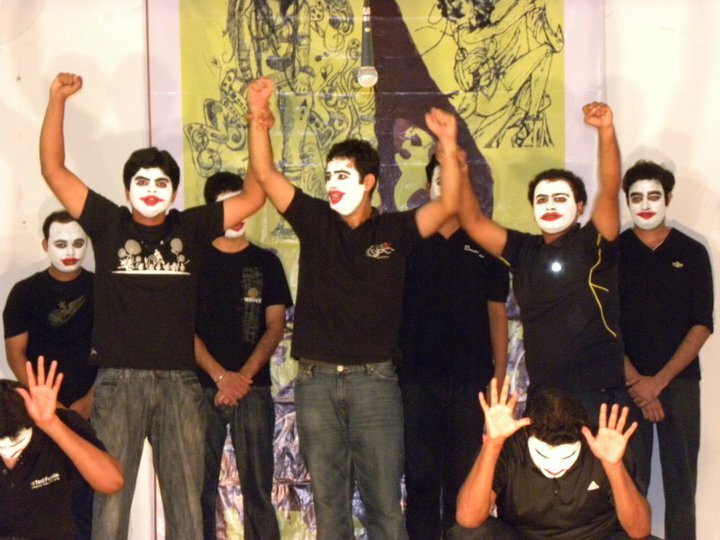 Then came 'Parichay 2010' and till now my claim to fame in the campus. 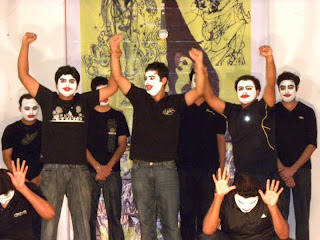 Parichay is the annual performance night by the PGP-I. 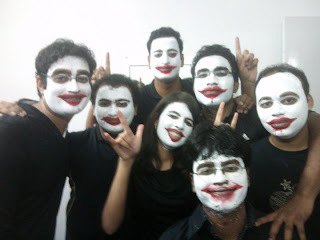 And I was performing a mime along with a group of 12. Boy, was I excited! The schedule of the practice used to be like 1am - 3am (because of the multiple committee interviews going round) after which the gang used to have maggi and chai together at mess or Gossip & Bites. Then when the D-day came, we were nervous. The crowd was hostile with the seniors booing each and every performance with chants such as "Ek do teen chaar, band karo yeh atyachaar". As we were painting our faces and getting ready, the shouting became overwhelming. But then we had faith in ourselves. As the mime started, we heard a few shouts from the back, but by the end of the 4th scene, the crowd was all silent. Finally when the skit ended, the entire crowd was on its feet. We deservedly got a standing ovation from seniors, faculty, batch-mates alike. I had a speech at the end of it and had planned that if our show would not have gone well I would not say out our names (our faces were postered, so anyways people wouldn't recognize us). But after the response, I had to introduce the team. 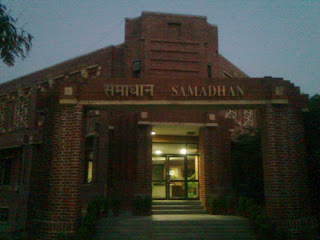 We became the talk of the campus and the pride of the batch overnight. I lost the count how many people actually came up and congratulated me for the performance. Amazing!